Nomads defeated Power by just 5 runs in a hard fought win at Deutweg on Sunday 24th September and join Olten in the final of this year's CSPL competition writes Alex Mackay. Following a rather chillier spell of weather as the Swiss summer draws to its inevitable end, this CSPL semi-final enjoyed warmer temperatures and long sunny spells. However, the outfield was still very wet at midday, no doubt decisive in the decision of Power's captain Shahnawaz to put Nomads into bat. It was Shahnawaz (7.0-1-12-3) himself that took Nomads first wicket (9-1), Asvin Lakkaraju (2) caught by Zahid off Shahni's third over. The Power opening bowlers were limiting the Nomads openers, who were finding runs hard to come by in the early stages of this match. Shahnawaz struck again in the 5th over to dismiss Faheem (14) caught & bowled on the last ball of the over. 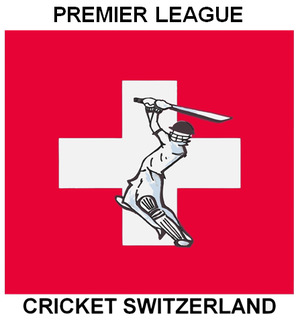 But, in the over to follow, the game underwent a strange twist that can only happen in Swiss cricket, due to the practice of only bowling from one end. The umpires changed but Shahni, having not heard the call of over amidst all the celebrations, took charge of the ball & proceeded to bowl a seventh successive ball. This was immediately noticed by the umpires, but only after the delivery. The game was stopped and discussion between the two officials pursued, after which the ball was allowed to stand and Chema had to finish the over! With all that confuffle out of the way, Power continued to ask questions of the Nomads middle order, which, with one exception failed to deliver. B.Singh (6) was caught off Chema (5.0-0-37-1) at square by Shahni who looked like he had left it too late to take the catch low in front of him; Sudath (5) was run-out backing-up too far; Nomad's captain Azeem Nazir (9) felt hard done by when he was given out caught behind to a ball brushing the pad (or was it the bat) down the leg-side off Aman Singh (3.0-0--15-2); and I.Muhammad (2) made it three for Shahni when he was caught on the boundary by Rana Khaliq who didn't have to move an inch. Nomads went into the drinks break at 101-7, the tail-end needed to wag if they were going to set a defendable target. Hasan Ahmad came out from behind the stumps to take a good catch off Sajid Safiat's (1.0-1-0-3) first ball after the break to dismiss Waqar Khawaja (51). Sajid then proceeded to rip through the tail-end, all 3 remaining batsman dismissed for a duck. Having not added to the total, Nomads finished the innings as they had returned after the drinks break on 101 but all out. Farid Din (3.0-0-15-1) took charge of the pink Dukes to open the bowling for Nomads and struck with his first ball. Sajid Safiat caught at deep point off the first ball of the innings. Just the start Nomads would have wanted! But Ashfaq (13) & Hasan (30) were able to move the score to 40-2 before Hasan was given out caught behind off Noman Khan (2.0-0-18-1) to a ball that he insisted hit his thigh pad. Faheem Nazir's (7.0-2-26-5) five wicket haul, in part compliments of three catches by Farid Din, was to prove the difference. Not unlike Nomads, Power's middle and end-order failed to keep their wickets intact long enough to stay with the required net run rate of less than 2 balls per over. Despite a very sensible innings by S Khan Mohmand (24) Power ended the game 5 runs shorts of the total to lose out in a place in the final. So it is Nomads that get to return to Deutweg next week to face Olten in the CSPL final to end another great season in Switzerland.